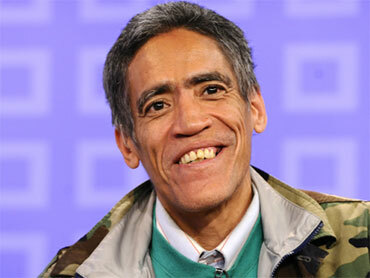 LOS ANGELES - The formerly homeless man with a Golden Voice, Ted Williams, has decided to enter a private rehabilitation facility following a one-on-one conversation with Dr. Phil. Williams' ex-wife Patricia and five family members also appear on Thursday's episode to share their version of the incident and why they feel Williams is ill-equipped to handle his sudden fame. Although Williams had claimed that he was sober for more than two years, he admitted to Dr. Phil that was not the case. He he has been drinking daily. A trip to Hollywood for appearances on "Dr. Phil" and "Entertainment Tonight" got off to a rough start for overnight internet sensation Williams. A disturbance report was made after Williams and his daughter got into a heated argument Monday at the Renaissance Hollywood Hotel & Spa. "It was minor. Both parties were angry but there were no signs of visible abuse," Los Angeles police Officer Catherine Massey said Tuesday. She said the two "were brought in, calmed down, talked to and released" and she did not know the nature of the argument. She declined to name Williams' daughter, but a statement from "Entertainment Tonight" identified her as Janey Williams. Ted Williams told ET in a Tuesday night show that it was a family gathering that got out of control. "I wanted to bring it to a close by just saying 'shut the hell up and let me talk to your mother.' When that was said out of my mouth my daughter exploded, just erupted into this jump up in my face type of thing, fists started flying, none of which were mine, none of which were mine, but it could have escalated to the point where it could have gotten really ugly. So in the process of doing that, I got scratched on my face," he told ET. Janey Williams told ET she was angry because her father, a recovering alcoholic and drug addict, had resumed drinking. "He has consumed at least a bottle of Gray Goose a night. That's not including the Coronas he ordered, that's not including the Budweisers he ordered, the other alcohol, the wines. He drinks heavily," she said. Ted Williams denied to ET that he had been drinking. It was not known whether the two returned to the hotel next to the Hollywood Boulevard home of the Academy Awards presentation. Williams flew into town to tape appearances on TV's "Dr. Phil" show and "Entertainment Tonight." The two-part "Dr. Phil" episode was taped over the weekend to air Tuesday and Wednesday. On the Wednesday segment, Williams meets with his ex-wife, Patricia, and five of his nine children, according to a statement from the show. "I wanted a nerve pill yesterday, to be honest with you," he told CBS on Friday. "If Ted is ever going to get better, he's got to be honest with himself and admit he's addicted to drugs and alcohol," said Dr. Phil. "I've told him it's not going to be easy and it's going to take a lot of hard work. It might be a long journey for him, but this is a big step in the right direction."